Learn how to slow down the aging process and keep your skin healthy at our Lunch and Learn Event sponsored by SkinMedica™ and McCormack Plastic Surgery. You will receive a personal skin evaluation with the Reveal skin imager and a healthy lunch from BeFit Foods. Spend $250 on SkinMedica™ products at the event and receive a FREE SkinMedica™ Vitalize Peel ($200 value). Brandi is a certified paramedical aesthetician. 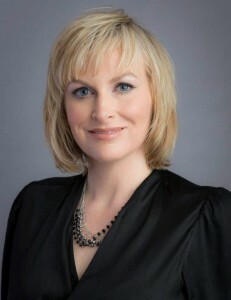 She specializes in advance skin care treatments and offers an extensive list of services. She has been a licensed aesthetician for over eight years with the Nevada State board of Cosmetology and has over 15 years of experience working in the beauty industry. Her passion to the aesthetic Industry continues to grow through constant education and training which allows her to provide cutting edge procedures and products to her clients while offering a personal approach to skin care. She is also certified in lymphatic drainage techniques for face and neck, a treatment that can be beneficial for facial reconstruction patients and aid in healing acne. Brandi is truly compassionate about her patients and possesses a gentle touch, signature of her service. She achieves personal satisfaction when her patients achieve their goals.